Use these helpful stating tips to prepare your home. Make sure everything is ready for the photographer and listing day! • Remove all appliances and clutter off counters. Counters should be completely clear. • Clean all appliances. If they really look out of date, research the cost for new ones as you may get the money back. Check scratch and dent stores too. • Clean, clean, clean. 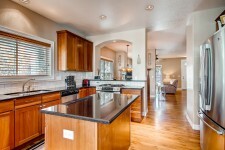 Buyers will perceive the condition of the home by how clean it is. • Once everything is clean, begin to set up the ambiance and décor. Place some kind of feature on your counter. It could be an orchid plant or a big bowl of oranges or lemons. Have the table set with plates, napkins, wine glasses, and a centerpiece. • Remove all items from shelving and surface areas. If you have ten things on a shelf make it three, so people can visualize their things there. • Remove all personal items. Hang generic art or fill the holes and paint to leave a blank slate. • If the room needs to be painted, paint it, it’s cheap and you will get a better price for your house. Always choose a neural color. • This goes for every room, do a thorough cleaning, all corners, tops, etc. • Clean the carpet or have it cleaned. If it is older, consider putting in new carpet. This makes a huge difference in appearance and you will most likely get your money back. • Examine the way the furniture is arranged. Does it show the room’s best features (fireplace)? Does the room look spacious or small and uncomfortable? • If you have decor themes stick with just one theme in the home. It should have a unified look throughout the house. Neutral is always better. Style specific homes will appeal to a smaller group of buyers. • Once everything is sparkly clean, place fresh flowers or seasonal décor in the living room. • Get rid of all products in the shower and on top of the counters. Have each family member live out of a travel toiletries bag while your house is on the market. • Clean out or organize the medicine cabinets, buyers will look to see how much storage is available. • Does the bathroom need to be repainted? Again, it’s cheap and you will get your money back. • There should be no water stains or dripping faucets. • Clean the bathroom like your mother-in-law is coming over, it should be spotless! • Invest in a new set of towels for just when you are showing the house. Put the others away. • Place one focal point on the counter such as a single flower. • Clear all dresser tops and nightstands. There should be no personal items. • Too much furniture? Consider storing large dressers or desks if they make the room look small. • All closets need to be gone through with the same eye – am I taking this to the new house? Pack what you would like to donate and put everything else back neatly so they don’t fall out when opened. It is better to have an emptier closet so the buyers can see all the room there is to offer. • If needed, invest in new linens for the bed. Make it feel like a hotel room. • Again, does the room need to be repainted, carpet cleaned? • Have a window cleaner come or clean them yourself. • Place one or two decorative items on the dressers and put the rest in storage or donate. • Make sure every room is arranged to demonstrate what the space is to be used for. If a bedroom was being used as a storage room turn it back into a bedroom. • Buyers will often drive by the home before calling their agent, so make sure it looks great! • Don’t forget about the outside of your home. You want to make a good first impression! • Make sure the front door and lock work. You don’t want the key to not work properly and a buyer to not be able to see the home. • Clean up the yard. Keep it freshly mowed, clean out the dead, and add flowers for pops of color if needed. • If you have a patio, set the outdoor table or use a nice flower pot for the centerpiece. • Don’t forget about the backyard. Buyers love imagining how they will enjoy the backyard. • If you have a good relationship with your neighbors, you may want to ask them to clean up their yards too. Buyers will judge the neighborhood by the appearance of the homes. • Add an air freshener to the entry of the home or spray a little (not too much) air freshener just before a showing. 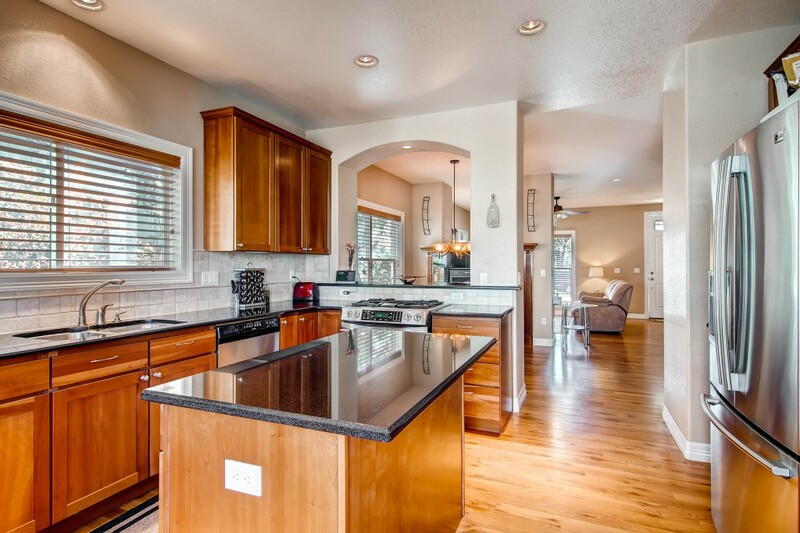 This will help buyers perceive the home as clean and move in ready. Follow Jessica’s board Staging Your Home to Sell on Pinterest.